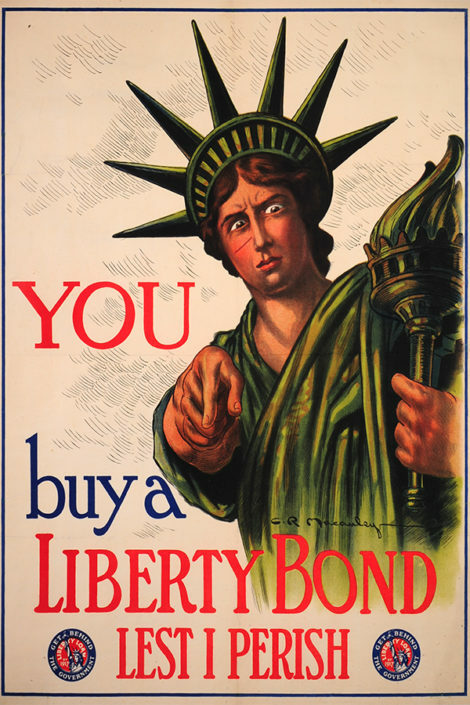 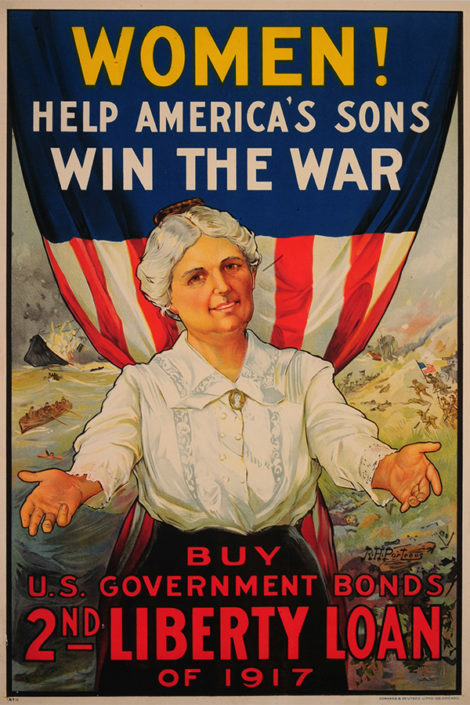 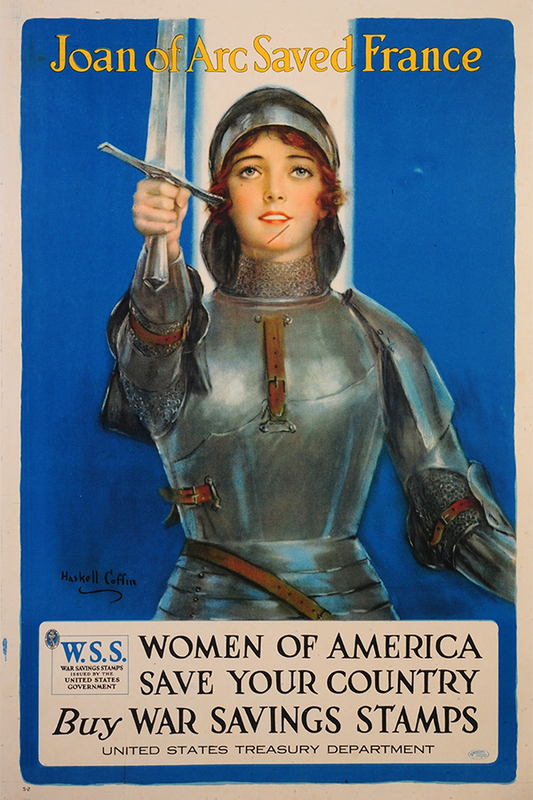 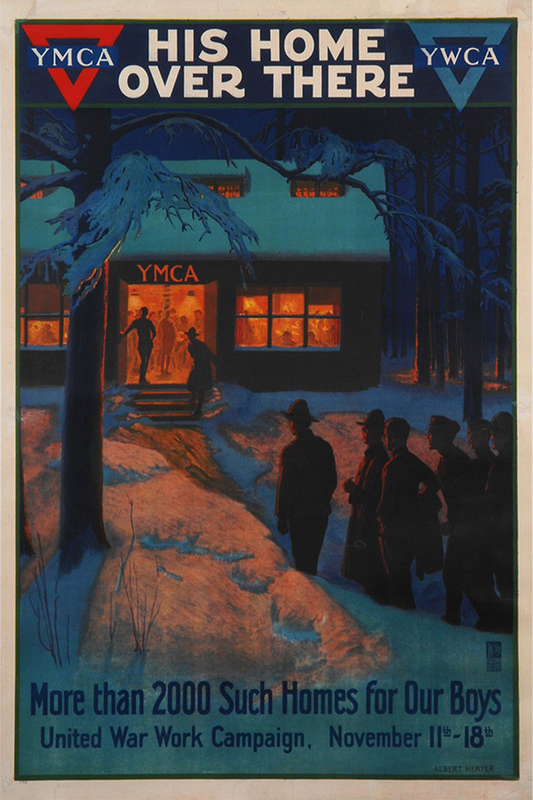 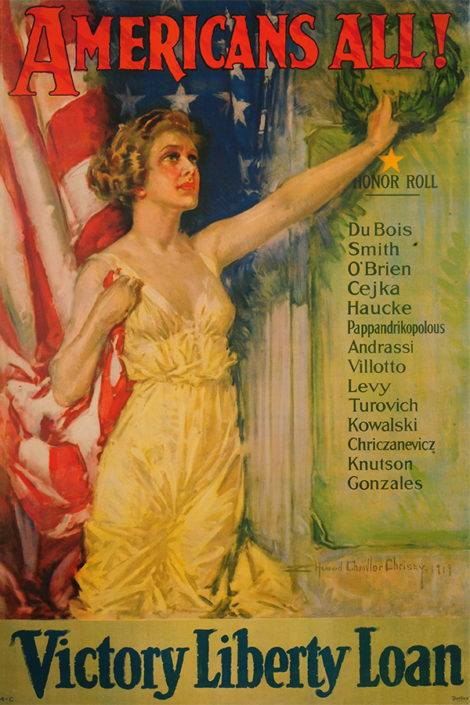 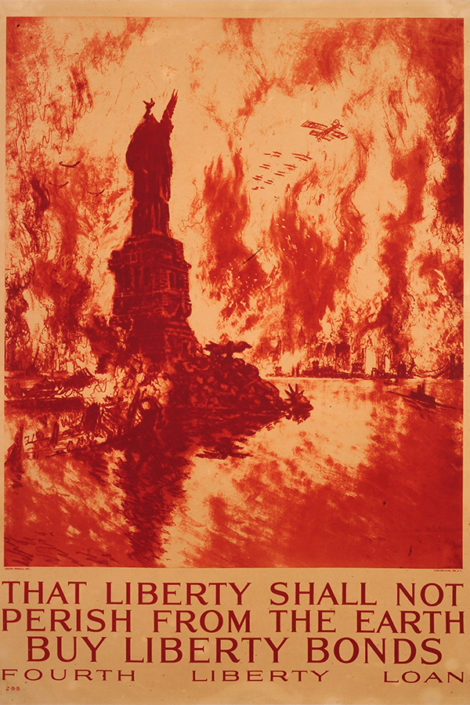 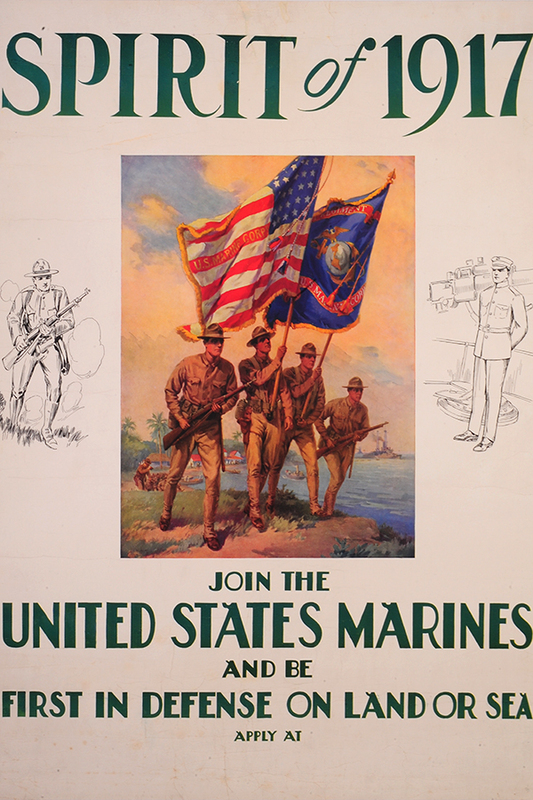 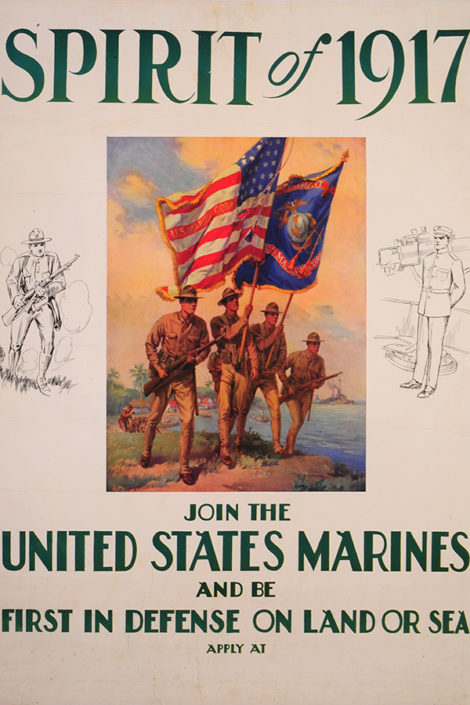 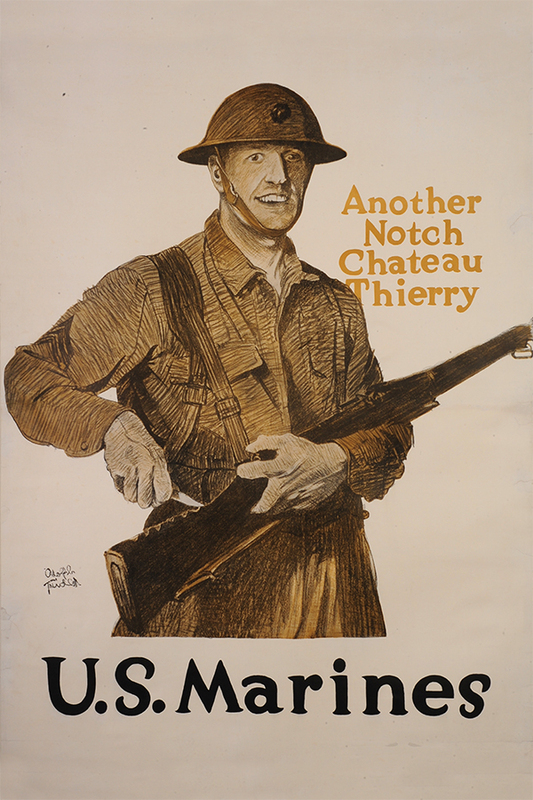 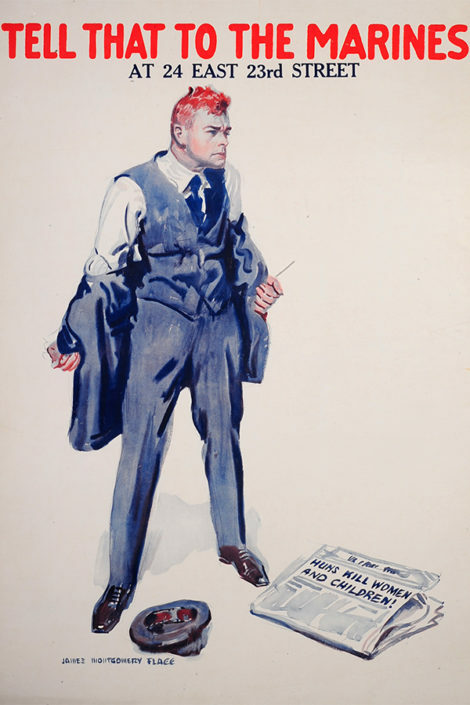 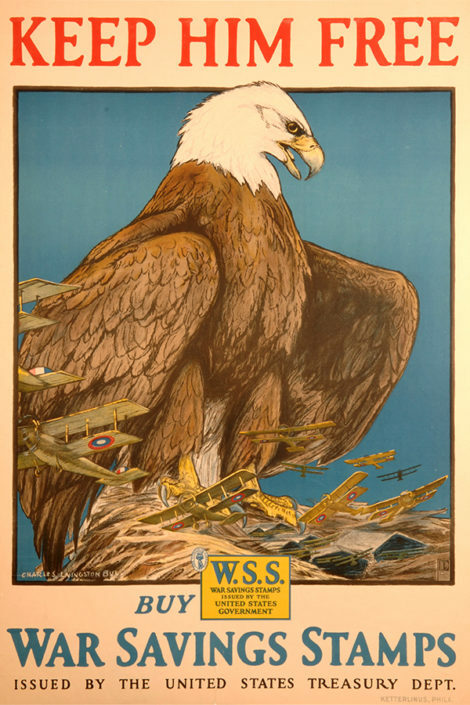 During the Great War, the United States published more than 20 million posters, more than all those produced by the allies. 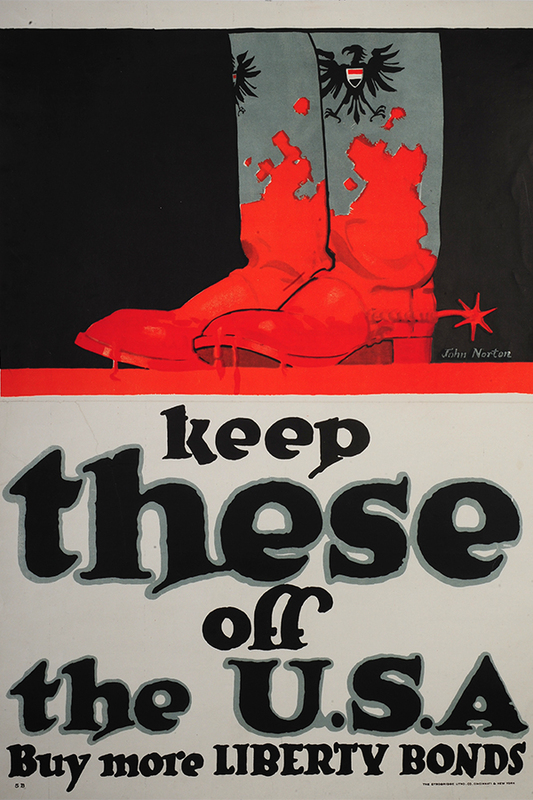 From the sinking of Lusitania in May 1915, a propaganda appealed to the volunteers to stop the German danger while the government tried to train executives (officers?) 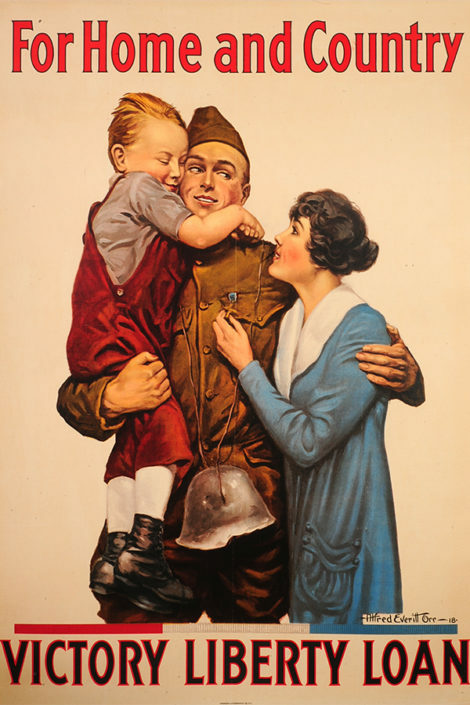 for the Army. From the declaration of war of the United States to Germany (April 6, 1917), the edition of posters in the way of the mobilization develops (Selective Service Act for the men of 20 to 31 years): the more famous is that of James Montgomery Flagg, showing Uncle Sam pointing his finger and saying “I Want You”, initiates a realistic and incisive style. 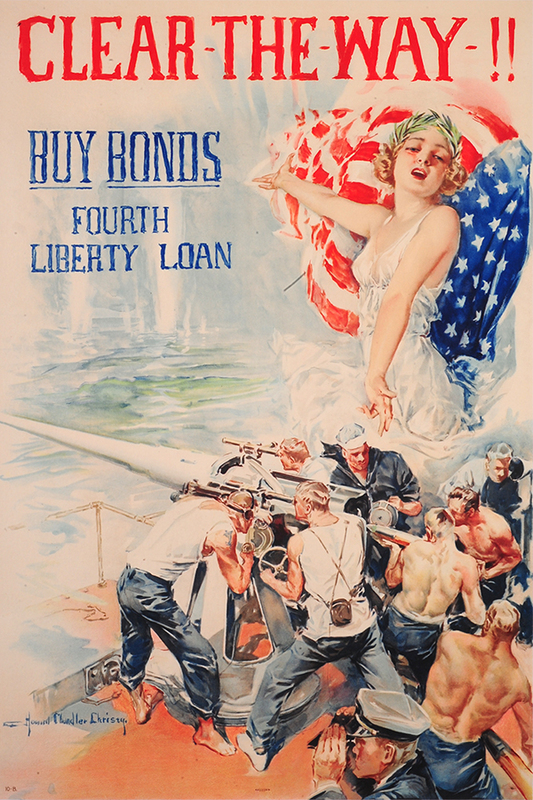 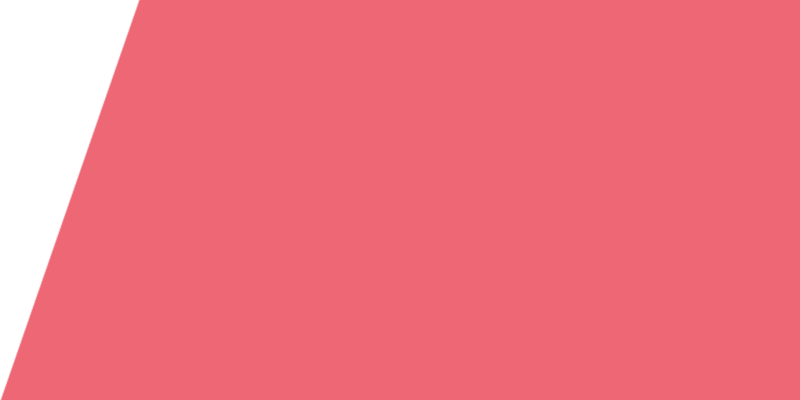 The many American artists and illustrators, through the most varied themes, have rivaled by the colors and the simplification of the message in favor of an unprecedented patriotic mobilization: economic effort, military engagement, aid to the allies, war loans. 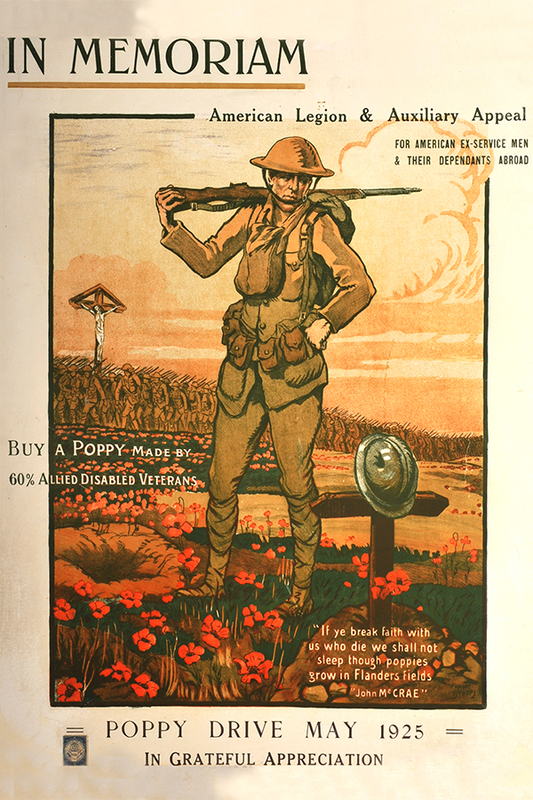 On November 11, 1918, 2 million doughboys (nickname given to the American soldiers) were in Europe. The United States military assistance provided allies with comfort and real help. 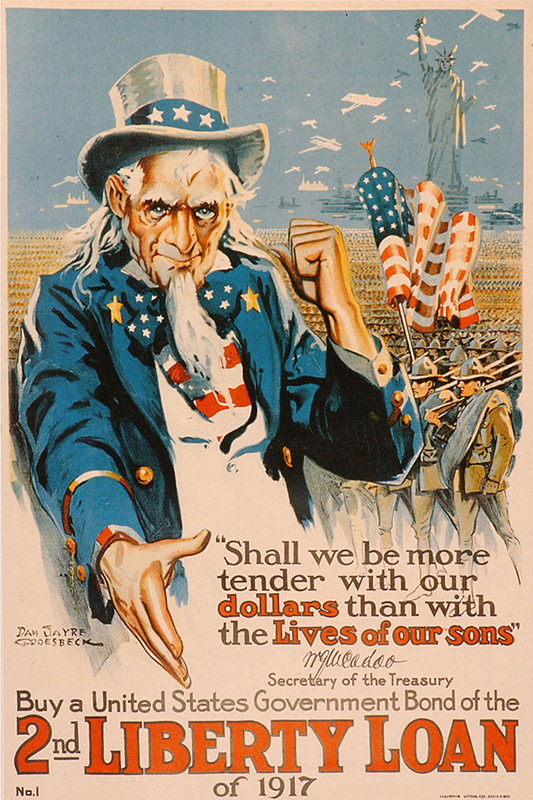 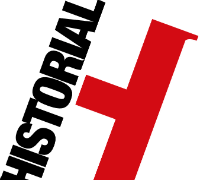 At the end of the conflict, they are one of the great powers of the world, recognized both economically and financially, as well as military and in international affairs.